The 22nd edition of The List Eating and Drinking Guide is published today. Covering 950+ eating and drinking venues across Edinburgh and Glasgow, freshly reviewed for 2015-16 by a 90-strong team of locally based reviews, it charts the ever evolving and constantly improving eating and drinking scene in the two cities. Revealed inside are the winners of the annual Newcomer of the Year and New Bar of the Year awards. Selected from restaurants opening in Edinburgh and Glasgow over the past 12 months, the Newcomer of the Year winners are chosen by the Eating and Drinking Guide’s experienced team of reviewers and editors for the promise, innovation and quality they bring to the local eating scene. Aizle: for sparking new ways to appreciate Scottish good food. Opened in spring 2014, Aizle offers not a menu but a list of ingredients, based around seasonal trends and foraging finds, from which Stuart Ralston and Krystal Goff create an inventive and expertly balanced five-course tasting menu that showcases both Scottish food and contemporary, open-minded cooking. Victor & Carina Contini Cannonball: for helping to reclaim the Royal Mile for good food. Victor and Carina Contini have built on their success at Centotre and the Scottish Café within the National Gallery of Scotland with a spectacular, three-storey food hub bringing together Scots-Italian heritage, classy cooking and warm hospitality. Ox and Finch: for bringing innovative and exciting food to an informal setting. Jonathan MacDonald’s understanding of global flavours is apparent in the imaginative sharing plates coming out of his open kitchen in his first restaurant, where texture, colour and appearance are as important as taste. Hutchesons: for a unique partnership blending heritage and fine dining. Restaurateur James Rusk has worked with the National Trust for Scotland on rejuvenating the A-listed Hutcheson’s Hall in the Merchant City, and the result is one of Glasgow’s most impressive restaurant spaces. The New Bar of the Year Award recognises Edinburgh and Glasgow’s hottest drinking spots, as well as their focus on good food, craft beers and a welcoming atmosphere. Spit/Fire: for its elemental fusion of good drink, food and atmosphere. The team behind Lothian Road’s Hanging Bat offer a stripped-back, atmospheric vibe in a warren of basement rooms in the New Town, curating one of the city’s best drinks lists alongside a menu of snack and comfort food. The Vintage at Drygate: for destination drinking and dining in an East End brewery. Unlike any other place in town, the Vintage’s impressive industrial interior features a bar, beer shop, gig space and outdoor terrace, and its kitchen serves up small plates that offer bold flavours to complement the expertly crafted beer list combining global brews and local creations. This year’s Special Award goes to Monir Mohammed, founder of Mother India, which has restaurants and cafes in Glasgow and Edinburgh, for setting a standard for Indian dining in Scotland that is yet to be surpassed. 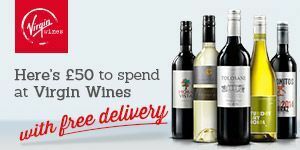 Get The List Eating and Drinking Guide 22nd Edition. 22nd Edition published April 2015. 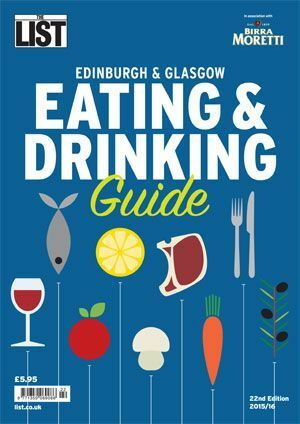 Widely recognised as the most reliable, comprehensive and authoritative guide to eating out in more than 950+ restaurants, bistros, cafes and bars in Glasgow and Edinburgh. Our 22nd annual Eating and Drinking Guide is released on Wed 22 April; who steps up to the plate?